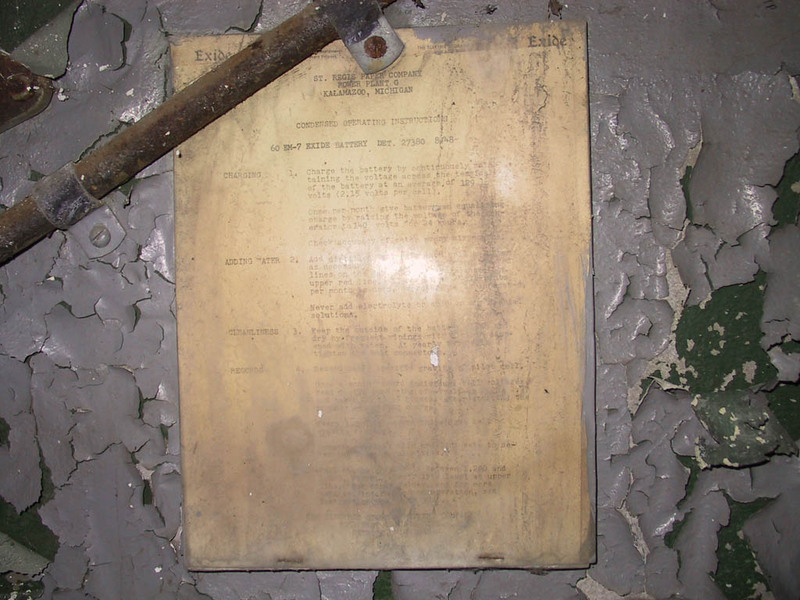 On the wall opposite the electrical switchgear cage is this sheet of paper discussing the proper maintenance and safety requirements of a large 144-volt array of lead-acid batteries that evidently was once present. 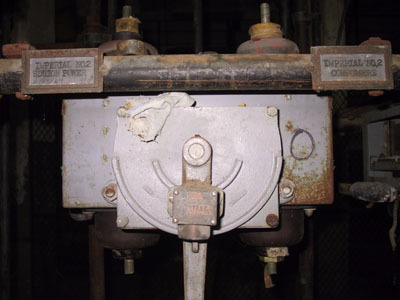 I really wonder what the paper mill would have used 144 volts of battery provided DC power for. 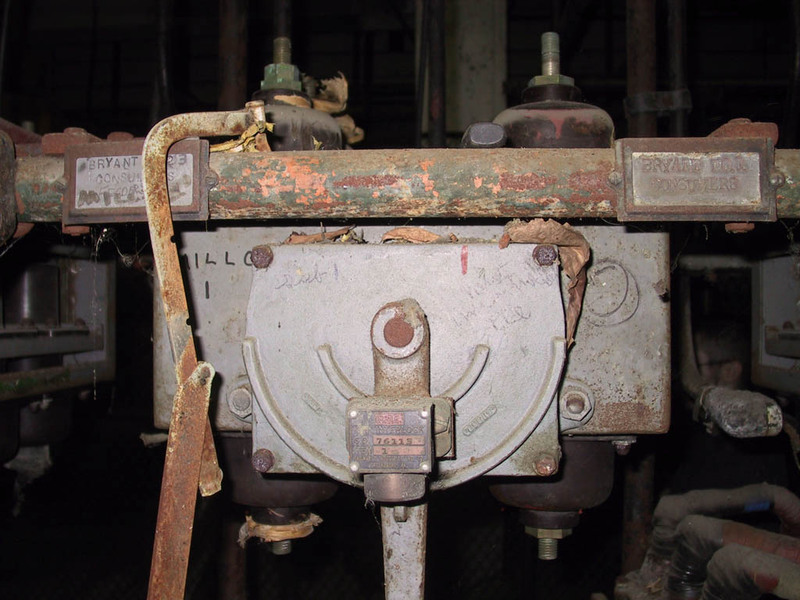 C. Demaine says that the 144 volt battery array most likely powered the mill's electrical control switchgear, which often runs on 120VDC. 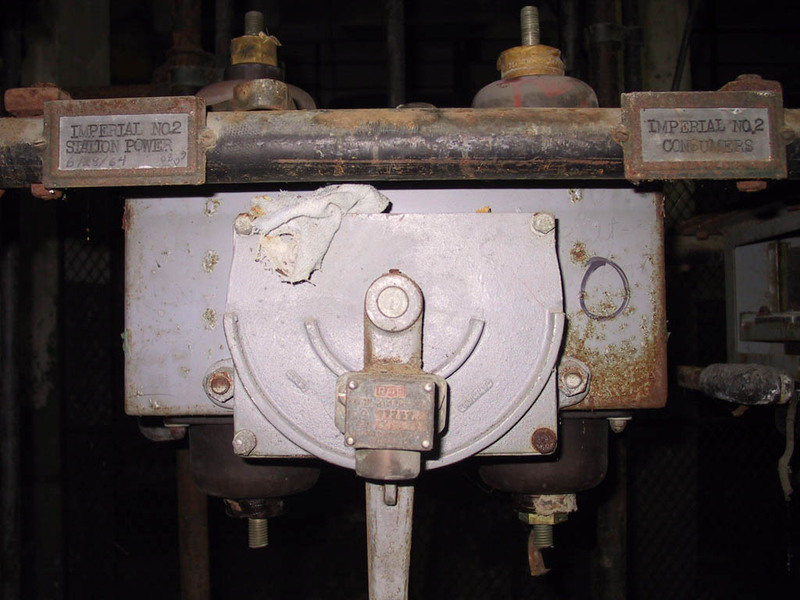 And, when the mill is completely blacked out, he notes that some power is needed to get the switchgear working in order to start things up. 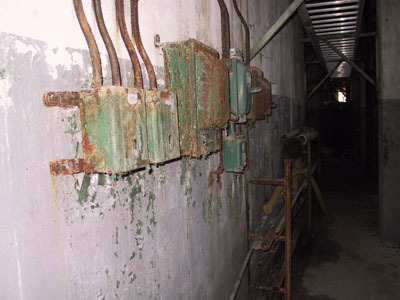 There are some light-duty switches and fuse boxes on the outside wall here. 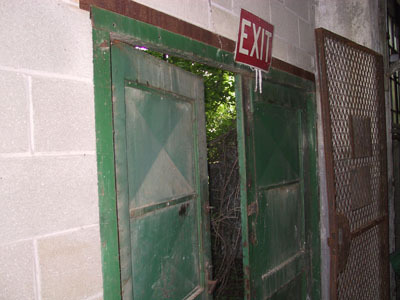 And an exit door that now exits to a rather thickly wooded area adjacent to somebody's house. 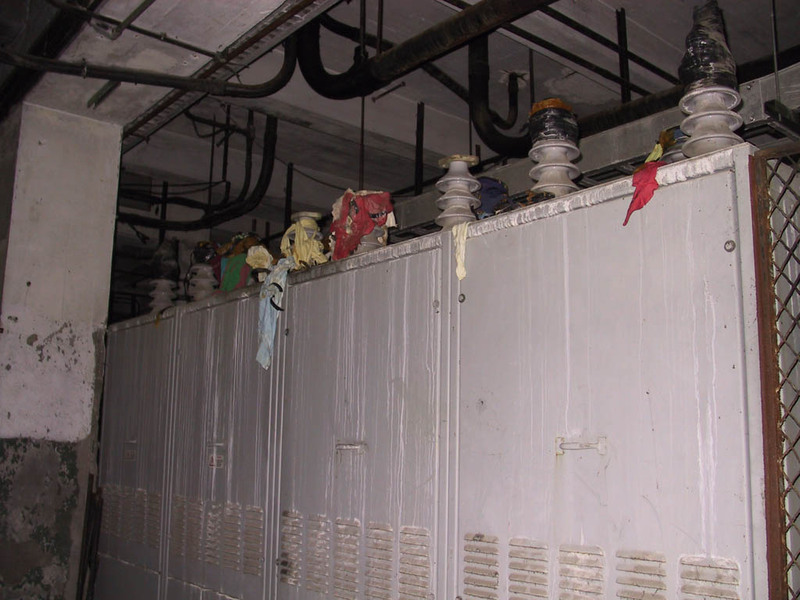 Adjacent to the cage, there are some cabinets with interesting electrical connectors on top. 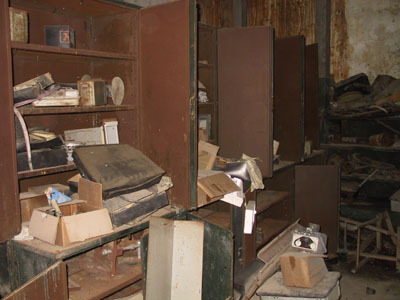 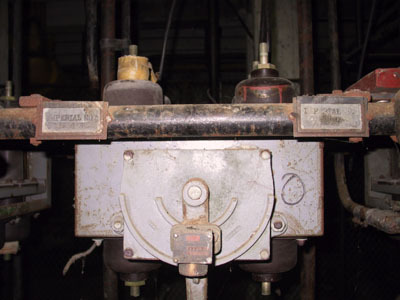 There is a small supply/maintenance area near the electrical equipment, as well. 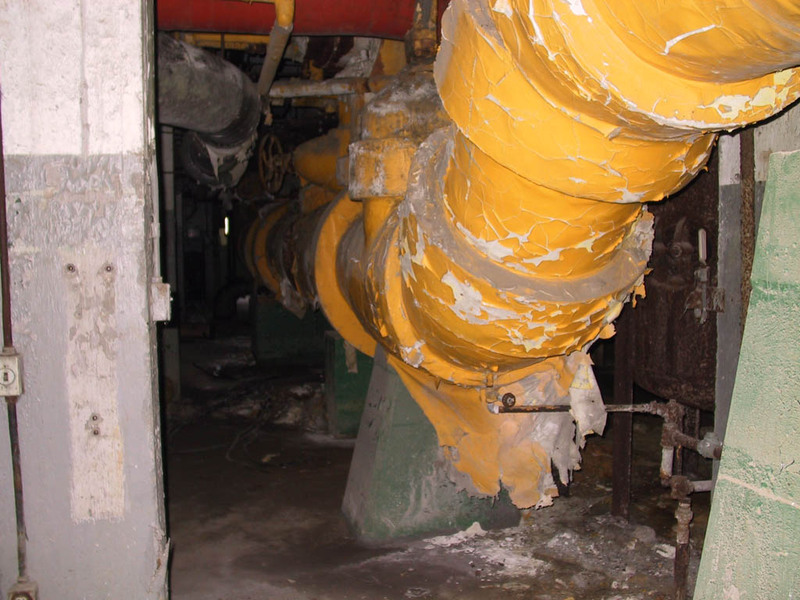 There are steam pipes in the area too, which makes sense, since we are still underneath the turbine room.